This is our last CSA week. BOO! 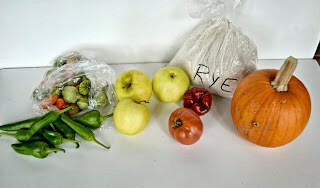 This week we picked up a bag of tomatillos, mini peppers, and jalapenos, 3 apples, a pumpkin, a tomato, and a bag of rye flour. I used all of the tomatillos, mini peppers, jalapenos, and the tomato, as well as tomatoes from my garden, to make 2 quarts of hot salsa. It was awesome! The apples we ate with our lunches which left the rye flour and the pumpkin. I haven’t used the rye flour but it’s coming soon. This week I’ve been in full baking mode. 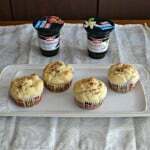 I had 2 cookie orders and 2 cupcake orders plus I’ve been baking like crazy for us as well. I’ve just had a lot of extra energy so I’ve been putting it to good use. I should be putting it to the gym and getting some exercise, and while I have been going once a week, I should get there more. As you know I’ve been on a pumpkin kick, mainly because we’ve been receiving multiple pumpkins in our CSA every week. 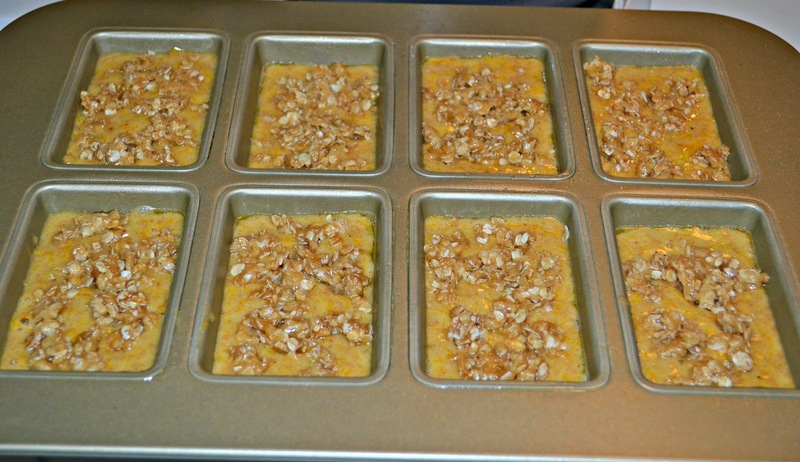 Each pie pumpkin has enough in it for 2-3 recipes depending on what I’m making. This week I had pumpkin bread on the brain. 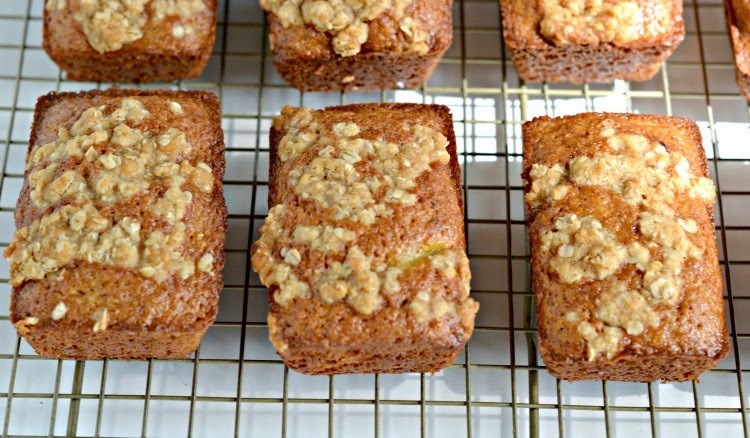 I’ve made pumpkin bread many times before but I wanted a streusel topping on top of the bread. 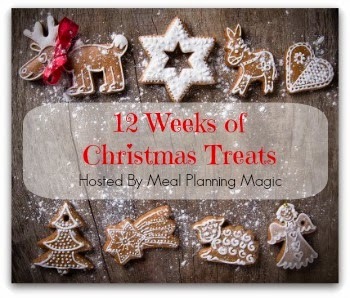 I also thought this would be the perfect treat for my first week of the 12 Weeks of Christmas Treats, hosted by Meal Planning Magic, because pumpkin bread is always a favorite in our house. This recipe made 1 large loaf and 8 mini loaves. Thankfully I have an awesome Williams-Sonoma Touch of Gold mini loaf pan that holds 8 loaves. I ended up keeping the large loaf at home for us and wrapping up the mini loaves and taking them to work. They were a huge hit and most people told me the next day they took them home and ate the bread themselves because they didn’t want to share. I can’t say I blame them. 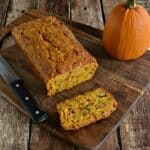 The bread is sweet, spiced with cinnamon, and has a rich pumpkin flavor. 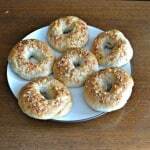 The streussel topping was sweet and crunchy which really worked well with the bread. 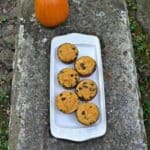 I enjoyed the pumpkin bread with coffee for breakfast and also after dinner as a sweet dessert. 2. In a large bowl combine the all purpose flour, whole wheat flour, baking soda, baking powder, salt, nutmeg, and cinnamon. Mix and set aside. 3. In a medium bowl combine the vegetable oil and apple sauce. Mix well. Add in the sugar and brown sugar and stir until well mixed. Add in the eggs one at a time, mixing after each addition. Stir in the fresh pumpkin. 4. Pour the wet ingredients into the dry ingredients and mix until just combined. 5. Divide batter evenly between the pans. 6. To make the streusel combine the brown sugar, oats, flour, and cinnamon in a bowl. Pour the melted butter over top and mix until lumpy. Sprinkle evenly over top of the bread batter. 7. 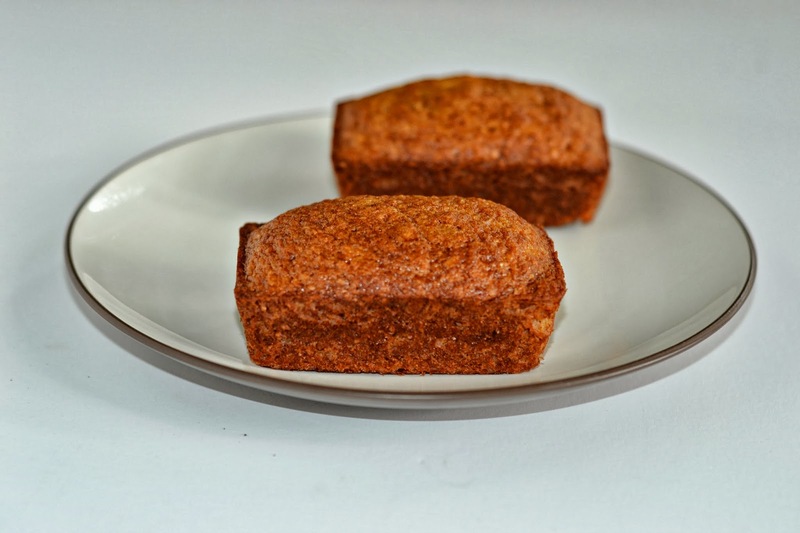 Bake the mini loaves for 30-35 minute or the large loaves for 45 minutes. Remove from oven and place on a wire rack to cool for 15 minutes. Run a butter knife around the edge of the bread and then invert on the wire rack. Cool completely then slice and enjoy.